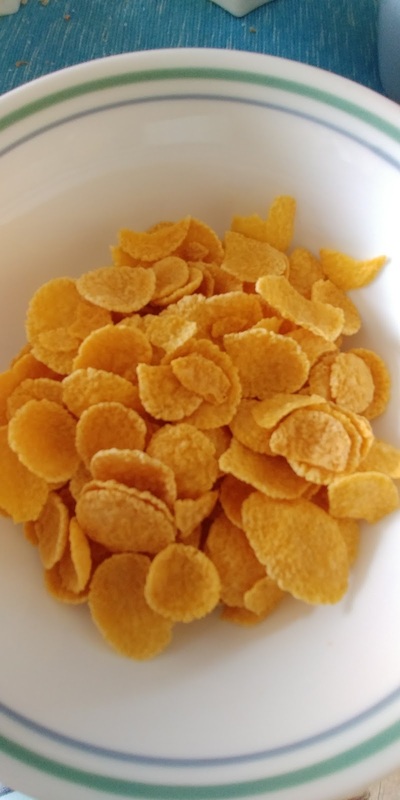 Those who have been following this blog know that I stopped buying Natures' Path cereals several months ago because they changed the ingredients in the only cereal on their product line that didn't have sugar. Well, I have good news. I was looking at their packages once again at the supermarket, and found out that this particular product does not have sugar. It is sweetened with fruit juice, just like the old Whole O's used to be. 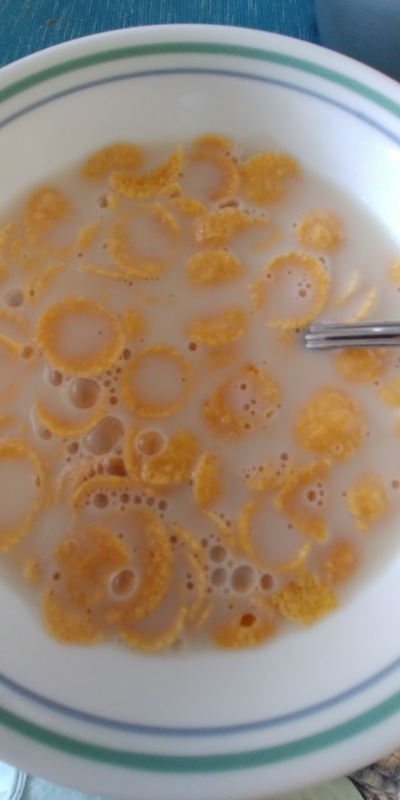 My first observation was that it tasted very bland, much more bland than the Kelloggs' Corn Flakes I used to have as a kid. But that's not necessarily a bad thing. I'm sure Kelloggs' Corn Flakes is full of artificial flavours to make the taste more intense. 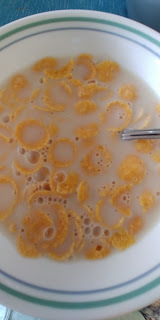 My other impression was that, despite the fact that it was sweetened, it still tasted significantly more bitter than Kelloggs' Corn Flakes (which probably has some sugar or other artificial flavour to make it taste sweet). 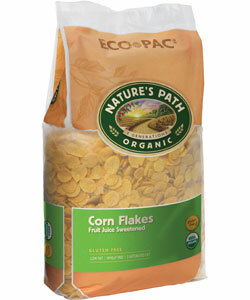 I wasn't expecting this Nature's Path cereal to be sweet, but I didn't expect it to be that bitter ether. When I put almond milk on it, it still tasted a bit bitter, but not as much. After a few weeks of having this cereal though, I got used to the flavour and didn't find it bitter anymore. But the main reason why I bought this cereal was because I wanted something that was a bit lighter than oatmeal, so I didn't feel so full in the morning - especially since I like to work out a few hours after breakfast. At first it seemed strange how less filling that oatmeal this cereal was, but after a while I got used to it. I don't think this cereal proposes to be as filling as oatmeal anyway. Of course the other reasons I bought this are because it is organic, and has simple ingredients. I also love that it has this eco-friendly pack. And since the bigger pack makes it more cost-effective than the box, it is a win-win: win for me who pays less for the cereal and win for the planet. I just have one note of caution about this cereal. Like I mentioned, at first I thought it was bitter and then it started tasting sweet - after a few weeks I couldn't even have this on a daily basis because of how sweet it tasted. Even though it is sweetened with fruit juice, it is still a processed sweet. And its much better for you to get as unprocessed sweets as possible (like dried fruit or regular fruit). I haven't bought this cereal that often anymore because of how sweet it states (as the weather cools, I have to avoid sweets even more due to my yin kidney body type). I might continue buying this (but much more sporadically) if I don't see any better options at the supermarket. Do I recommend this cereal? If you can't find any other alternatives, sure. This seems to be the "lesser evil" of cold cereals. But if you can eat bread (without any sugar added of course) or anything else that doesn't have sugar, that is always the better option. PS: use code 3HFALL and this link to get $10 off organic cereals and lots of other healthy foods.